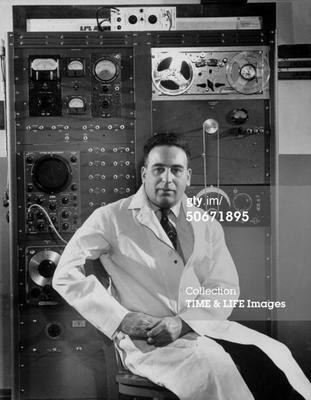 Marvin Camras (1916–1995) was an electrical engineer and inventor who was widely influential in the field of magnetic recording. Camras built his first recording device, a wire recorder, in the 1930s for a cousin who was an aspiring singer. 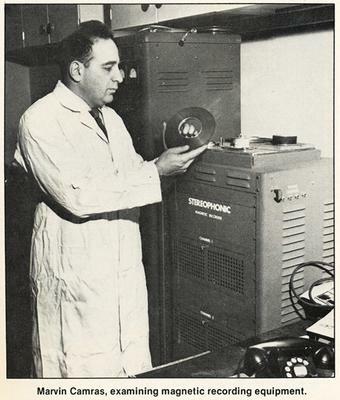 Shortly afterwards he discovered that using magnetic tape made the process of splicing and storing recordings easier. Camras's work attracted the notice of his professors at what is now Illinois Institute of Technology (IIT) and was offered a position at Armour Research Foundation (which merged with Lewis Institute in 1940 to become IIT) to develop his work. Before and during World War II Camras' early wire recorders were used by the armed forces to train pilots. They were also used for disinformation purposes: battle sounds were recorded and amplified and the recordings placed where the D-Day invasion was not going to take place. This work was kept secret until after the war. In June 1944 he was awarded US Patent number 2351004, titled "Method and Means of Magnetic Recording". In all, Camras received more than 500 patents, largely in the field of electronic communications. 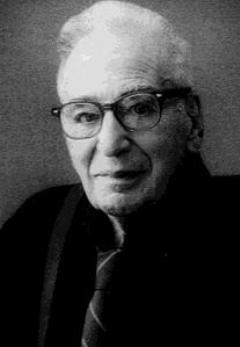 Camras received a bachelor's degree in 1940 and a master's degree in 1942, both in electrical engineering, from IIT. In 1968, the institution awarded him an honorary doctorate. In May 1962 Camras wrote a predictive paper titled "Magnetic recording and reproduction - 2012 A.D.". In his paper Camras predicted the existence of mass-produced portable media players he described as memory packs the size of a package of playing cards holding up to 1020 bits of information. Such devices would not have any mechanically moving parts and would store both sound and movies. He also predicted music and movie downloads, online shopping, access to online encyclopedias and newspapers and the widespread of online banking transactions. In recognition of his achievements, he received the National Medal of Technology award in 1990.